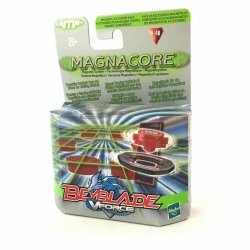 Bekijk ons assortiment Beyblade action figures en speelgoed. 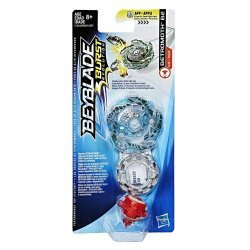 Beyblade is a brand name for a line of spinning top toys originally developed and manufactured by Takara Tomy&comma; first released in Japan in July 1999. 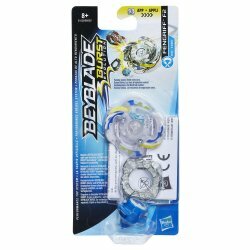 The main premise of the that the Beyblade (sometimes shortened to "Bey" or "Blade") is customizable&comma; with interchangeable parts. Both the toys and their name were inspired by "Beigoma"&comma; a traditional spinning top. The concept is similar to Battling Tops&comma; a board game developed by Ideal Toy Company in 1968. 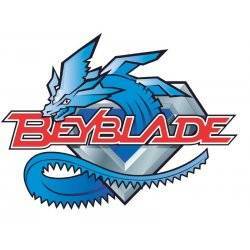 The introduction of the toy corresponded with the broadcast of the Beyblade anime television of the same name. In 2001&comma; the was licensed by Korean toy maker Sonokong. 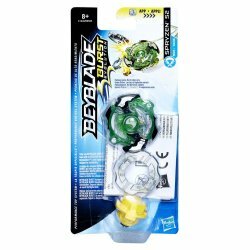 In 2002&comma; Hasbro began to sell Beyblade toys internationally (under license from&comma; and produced by&comma; Takara) along with a coordinated country-by-country release of localized versions of the TV. In August 2008&comma; Takara Tomy released Beyblade: Metal Fusion; the first incarnation of the toy in three and a half years. The was followed up in 2015 with Beyblade: Burst.